It's a hot week coming and I don't have air conditioning so I'm planning on making good use of my Instant Pot and the BBQ to avoid heating up my kitchen when making dinner. Tonight will be spaghetti & meatballs in the IP. I'll have french bread and a salad to go with it. The rest of the week is looking like this. Burritos I'll make black beans in the IP and then cook some seasoned hamburger in the IP to use in the burritos. I'll serve with cheese, salsa and a salad. Grilled Salmon I have some wonderful wild caught salmon to cook up on the bbq. I'll serve this with some IP potatoes and coleslaw. Teriyaki Chicken I'm going to try THIS recipe. I'll also make rice in the IP for this meal and a salad. All of these meals should be easy and very do able for me this week. I'm happy to report that this week I'm feeling much better. Everyday is a little better then the day before and I'm regaining my strength again. I'm very thankful. Recovering from blood loss anemia is a slow and steady process, I'm discovering. I've just taken it easy and my hubby and son have been wonderful at helping out with food and household chores. I'm slowly regaining my energy and have cooked a little bit. But, not a lot. My son has did some cooking and my hubby is a master at the grill so it's not been hard to keep us fed. This week I'm hoping to do a little more. The hardest part has been deciding what to make. I don't have a huge appetite and finding meals that sound good to me is challenging. Tonight is burgers on the grill. Hubby will handle the grilling and we'll have the typical trimmings to go along with the meal. So Far This Week What a week it has been. I've been missing in action for several days now. This will be a shortened version of WSS. On Saturday I came home from a 4 day trip to the hospital. I had a chain reaction of issues that put me in the ER. It was a busy week for me last week with family and friends here. 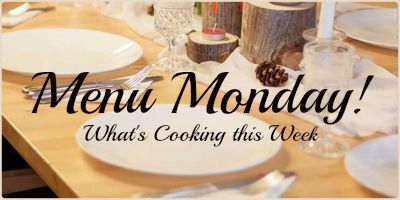 This week it's back to normal and that includes menu planning! I had a lot of food come into my home while company was here, and that meant we were eating it up for a few days. I never did make my pork roast that I mentioned last week. So that is my plan for today. Cook the roast up in my Instant Pot. Using some of that meat I will make pulled pork philly sandwiches for tonight's dinner. I'll serve homemade coleslaw to go with this. You can find the pork sandwich recipe I'm going to try HERE. 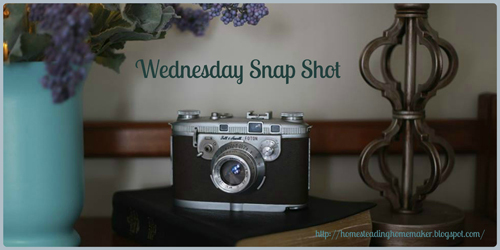 Wednesday Snap Shot will be on a break this week! :) I have a lot to do in town today to get ready for family coming tomorrow. So, no time to blog this morning.. It was a long day of chopping, pureeing, simmering and canning but I ended up with 31 pints and 14 quarts. I made 31 pints a few days ago, so I do believe we have plenty of salsa to last us for the year! I made a few extra meals over the weekend and have leftovers. So, the next two days I won't need to do any cooking. Hamburger/Hot Dog BBQ I'll be having company come for a couple days so we've planned to do a summer bbq with hamburgers, hot dogs, potato salad, watermelon and whatever else we want to add in. I'm planning on cooking up a pork roast from the freezer and use the meat in a couple different meals..
Chicken Parmesan I'm going to try making this in my IP. I'll serve it with angel hair pasta, french bread, and roasted broccoli. That should do it for us for the week.